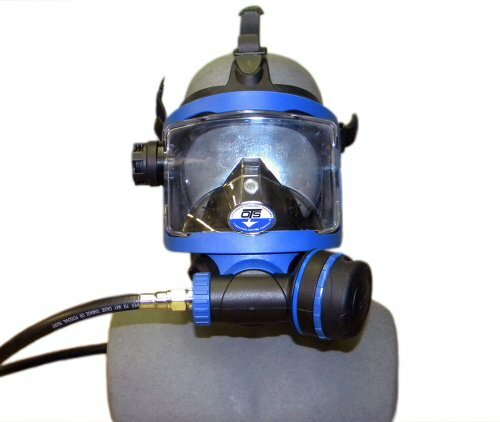 ​Full face diving masks have, until recently, been something that only commercial divers would use. They are becoming increasingly popular in the recreational diving space, however. Today, even casual divers can enjoy the comfort and convenience of diving with a full-face mask. Here is a quick look at some of the most popular consumer-grade full-face diving masks on the market today. Why Choose a Full Face Mask? Full face masks are more comfortable to wear, and they have a lot of benefits. Rather than having a dive mask that covers your eyes and your nose, and then also wearing a regulator in the mouth, a full face dive mask will combine those two elements. The regulator is integrated into the mask which means that the wearer doesn’t have to “hold it” in his mouth. This means that the diver can talk over a dive radio easily communicating with people on the surface. Equalizing pressure is easy, and the mask is generally more comfortable to wear. There is less risk of losing the regulator while diving, and for people with dental issues, not having to hold the regulator in the mouth can be a huge relief. 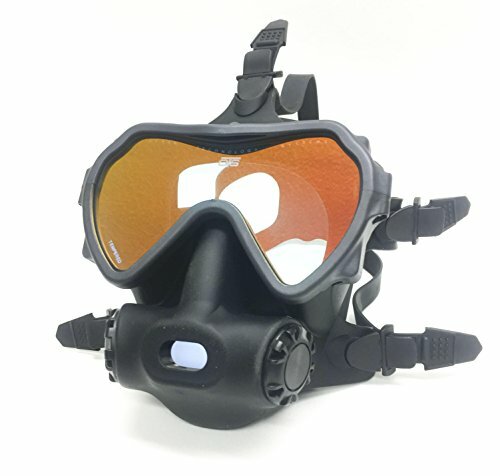 In addition, the mask can have a larger viewport offering near 180-degree vision, which means that the diver feels less confined when under-water. The same is true for full-face masks that are getting more and more popular for snorkelers. There are some downsides. Full face masks are far less likely to flood, but when they do flood they are much harder to clear, and there is the risk that the flooding may reach the part of the mask where the regulator is, meaning that the diver cannot breathe. It is also harder to put the mask on correctly, and if it is ever dropped or lost then it is a critical issue. Losing a standard mask is not so much of a problem because the regulator is separate and most likely still in your mouth. In theory, you should still be tethered to a full-face mask, so it would be easy to find it underwater, but you will have to move quickly. Many full-face scuba diving masks have additional features, such as diving lights and comms built in. Others can have them added relatively easily. If you are looking to add a diving light to your mask, then there are a few things that you should consider including the life expectancy of the lamps, the beam angle, the brightness output, and the color temperature. You may be inclined to think that "a light is a light" but the temperature of the light offered does make a difference to how clearly you can see, and can also affect how quickly your eyes get tired. When you are diving, your body is under enough stress already, without adding harsh light to the experience. Ideally, you want a hands-free light for your visor, and then you may want to carry a secondary light if you are going to be working underwater. Visor lights for full face masks are not always designed to be a primary light. They are more of a safety feature that will help other divers to see you, and help you to orient yourself. Primary dive lights are useful for daytime and night-time dives in very deep water, and have incredibly powerful central beams. Visor lights tend to be less bright and less focused but this is by design. Very bright lights can cause a white-out. Think of how it looks when you have your lights on high in the fog. Primary dive lights have a focused central beam to prevent this. When you’re choosing a dive mask, your first priority should be making sure that it fits well and is comfortable, and that it will work with the rest of your diving equipment. Everything else things like communications units and lights can come later. It helps if you can try the face masks on before you buy them, but if you’re buying online, then read the descriptions carefully. Think about how each feature or specification item might affect you. Some full face masks, for example, are very heavy. You probably won’t notice the weight too much when you’re in the water, but lugging it around on land could be an issue. Pay attention to things such as the hose position, for example. A lot of divers like a second stage hose set up with the hose coming out of the right-hand side, but not all masks offer that. It would be frustrating to spend a lot of money on a dive mask only to find that the hose and regulator set up gets in the way in normal use. The Ocean Reef Predator T Divers FFM is designed for use by technical divers, and is intended for those who dive in extreme conditions. The max is nitrox compatible up to 40%, which is classed as the recreational limit. This diving mask is suitable for use with glue-in corrective lenses for those who have vision issues. It is sold as one-size fits most (for medium to large faces, with a weight recommendation of 110lbs+) and comes with a surface air valve, but no quick connect/disconnect attachment. This dive mask is well made, and the straps are easy to adjust. The 3-D equalization system promises to make it easier to clear the mask compared to other full-face designs. The directional exhaust valve is a nice touch, too, encouraging bubbles to flow away from the comms unit, and to keep your view un-obstructed. Purging the mask is done via an easy to access button, and the visor has a large visual field, with a visible light transfer of 92%, allowing you to see clearly even when deep under water. This particular model was designed by Ocean Reef in association with Team Blue Immersion Dahab,and combines the technical diving experience of Team Blue with the robust design and many years of equipment manufacturing experience of Ocean Reef, to produce a recreational dive mask suitable for diving in difficult conditions. OTS are a well-known brand, and this is a diving mask with a good viewing angle thanks to having a visor that is low profile, offering improved visibility. The mask includes an ABV valve, something several others lack which helps to preserve air when the diver is on the surface. This full face mask helps to keep your face warm when diving in cold water, and allows divers to breathe through their nose, which helps to prevent dry throats during long dives. This mask is popular with smaller divers, and in particular women, who often find that other consumer-grade full face masks are too big for them. The double seal configuration ensures that both small and large divers can wear it comfortably, and the adjustable head straps support secure fitting. The mask bag is designed to protect the mask at all times, and features large drain holes and a vent screen, ensuring that the mask dries out properly between dives. While this is sold as a recreational mask, it is often used by search and recovery teams and commercial drivers. The second stage regulator is easy to remove for maintenance and storage, and the mask itself is robust and well made, so divers can be confident that it will serve them well for numerous outings. The ScubaPro Full Face Dive Mask is a lightweight full face mask which is designed with comfort in mind. It is useful for technical diving, caving, and diving in cold water. It features separate compartments for the nose and mouth, and easy to use adjustment buckles to keep the diving mask secure and comfortable at all times. It is easy to add an underwater communications system, and the snug two-compartment design makes this mask a popular choice for those diving in contaminated environments. The design of the mask means that users cannot breathe through their nose, unlike with some other full-face masks. The trade-off here is that the mask is easier to equalize than the average full-face mask. This diving mask offers a good compromise between the comfort of a full-face design, and the ease of use of a standard mask. This is a small and lightweight mask with a clear lens and a double seal that will fit most people whether they have a small or a large face. The mask is easy to equalize simply by pinching your nose, and it offers warmth and comfort in cool water. The regulator is not supplied, but the design should fit most full-face regulators. This is an affordable full-face mask designed for recreational divers, and it is a good choice for those who are looking to test out the full face design for the first time. It holds a seal well and it allows you to talk to your partner under-water with ease. One downside of the mask is that you will need to stay on the air while wearing the mask; there is no surface valve supplied. For people who remove their mask and regulator while on the surface this may not be an issue. Overall, the mask is cost-effective, no frills, and suitable for most recreational divers. The Ocean Reef G Divers Full Face Mask is a robust diving mask with a second stage regulator, a low-pressure hose, and a diver adjustable flow control knob. This large mask offers a good viewing area, and is a comfortable fit for most people. The head strap ensures that the pressure from the weight of the mask is distributed evenly, and there are six straps in the harness, which will keep the mask securely in place and ensure minimum movement. The visor is made of a transparent polycarbonate, and is designed to sit close to the face, and to offer good peripheral vision. The polycarbonate has a visible light transfer of 92%. The mask can be fitted with communication devices and is suitable for recreational use and for some commercial diving, however the manufacturer offers other commercial-grade masks for extreme conditions. This is a positive pressure diving mask that is resistant to fogging, and that is easy to use. It is quite bulky and does require careful cleaning and maintenance, however the improved visibility and comfort under water makes it worth the choice. So, which mask do we love the most? The OTS Guardian Full Face Mask is our winner, because it offers a good compromise between cost and features. It is a robust and well-made mask that will fit most people, and that offers good visibility in the water. The ABV valve is a welcome addition that even some of the more expensive masks in the list above lack, and the ability to breathe through your nose is something that divers will quickly come to appreciate once they have tried it for the first time. There are other masks with more features, but it can be hard to justify the expense as a recreational diver. We believe that the OTS Guardian offers everything that most divers need, and is well worth the money. 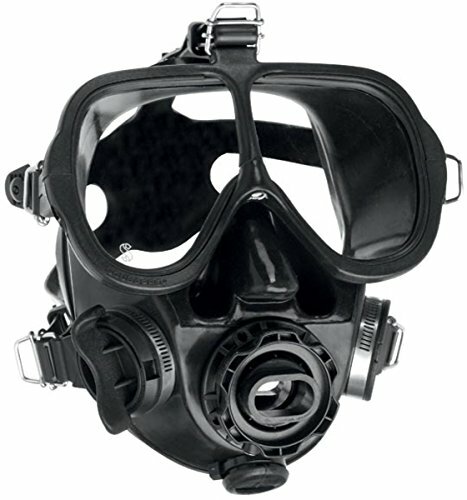 This mask is good for technical divers and recreational divers. It may not suit those diving in extreme conditions, but OTS produces commercial masks for that purpose.